At Merkem, we offer 24/7 same-day service across the GTA. Pests don't work 9 to 5, so neither do we. It’s as simple as making a call: anytime, anyplace. From your bachelor on Bloor to your reservation at 8, Merkem provides solutions for homes, businesses and everything in between. We guarantee same day service. Call us anytime, even in the middle of the night. In dealing with pests, numbers are imperative. That’s why we’ve never quite understood companies that send a single technician. At Merkem, we believe working in teams is the only way to be effective. Whether its the person on the phone or the people at your home, every member of our team is a trained and certified exterminator, licensed by the Ontario Ministry of the Environment. Controlling a problem is far less effective than solving it. From our experience every pest problem needs its own unique solution. At Merkem our treatments are non standardized, which means developing the custom solution thats right for you. We’re proud of the work we do. That’s why all of our services come with a 120-day guarantee. Inspections are the most important element of any pest control practice. From our optical devices to our knowledge of entomology, we have designed the most rigorous inspection protocol available. We’ve developed a highly effective single treatment protocol which places emphasis on both immediate and long term results. Heat, cryonite, steam, powders, sonic devices, foaming agents, growth regulators, residual and contact insecticides – we’ve spent a lot of time experimenting with both orthodox and not so orthodox extermination methods in order to figure out what works and avoid what doesn’t. Working in teams has allowed us to develop control practices simply not possible with individual technicians, and also allows for single treatments to always work. With the lowest preparation and labour on your part, we make what is a rather complex situation, simple. With the city’s ever increasing population density, cockroaches have proliferated across the GTA. Given their complex sociology, there are numerous factors that determine their perseverance in human environments. Recent development in gel based insecticides in conjunction with new control practices has allowed us to offer more than 8-month control with a single visit. A highly economical, highly efficient solution for both residential and commercial infestations. At Merkem we offer custom solutions for a number of other pests: Ants, Beetles, Boxelder Bugs, Carpet Beetles, Centipedes, Cigarette Beetles, Mites, Cockroaches, Confused Flour Beetles, Crickets, Earwigs, Firebrats, Fleas, Flies, Lesser Grain Borers, Litter Beetles, Millipedes, Mosquitoes, Pillbugs, Red Flour Beetles, Rice Weevils, Saw-toothed Grain Beetles, Scorpions, Silverfish, Sowbugs, Spiders, Spider Mites, Termites, Ticks and Wasps. If you're having trouble identifying what species of pest you have encountered give us a call to schedule an inspection. Rat and mouse infestations are developing at exponential rates due to Toronto’s evolving infrastructure. Construction, especially on the ground, has led populations to disperse all across the GTA. Because rodents are mammals, their anatomy is analogous to humans, making rodenticides the most dangerous form of pesticide. Figuring out possible entry points in any structure is important but far from imperative, as no structure can ever be completely sealed off from its surrounding milieu. 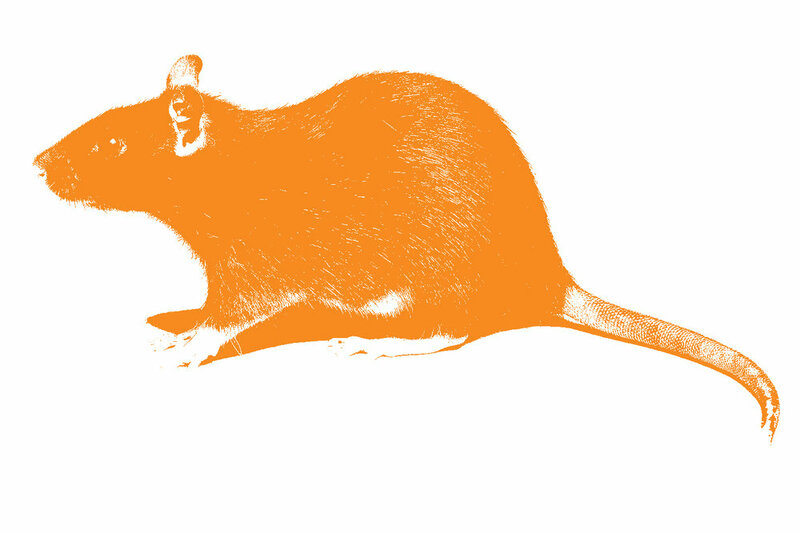 With this in mind, we’ve found the most advanced rodenticide formulations available, providing the safest solution for any environment.